Post Random Pics of your 6s. Discussion in 'Standard Guitars' started by D-EJ915, Jan 30, 2007. Yeah, a friend in a different band got one brand new in '89 and let me play it the day he got it and I've been in love with them ever since. 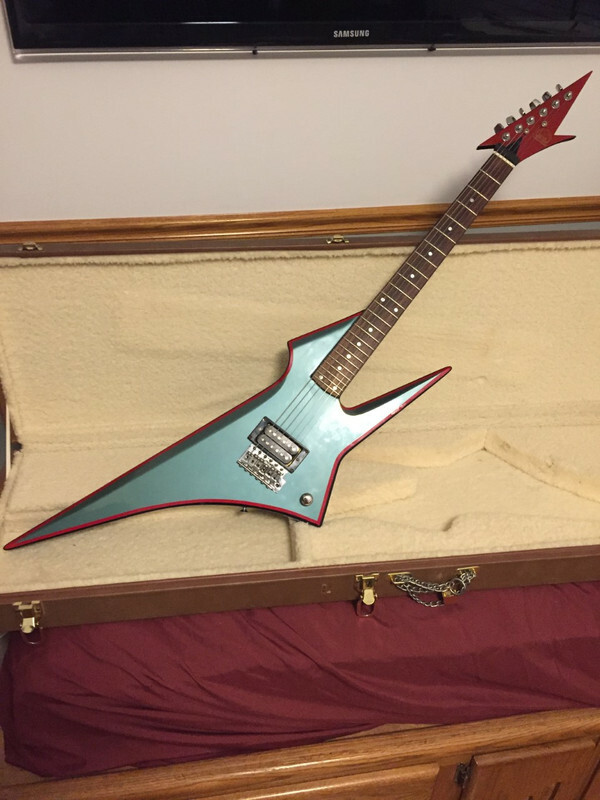 My 91 (the Corvette Blue Me Away colored one) is my favorite guitar I've ever owned. Probably tell my wife to bury me with that one. Its been a little while since I've played but I pulled my Hondo Death Dagger out of the case today to noodle around for a bit. JJStrike, slayer6699, Synllip and 5 others like this. High Plains Drifter, slayer6699, Synllip and 4 others like this. Bc rich jr v deluxe. JJStrike, Bear R., slayer6699 and 4 others like this. Here's my 1998 Fender American Standard Stratocaster guitar that I bought at a pawn shop back in May 2005 for $1,000 including a Fender hard shell case. I've darkened the fret board with ebony wood stain and added a neck pick up on/off switch for an extra 2 tones...bridge & neck pick up out-of-phase and all 3 on at once for a full sparkling sound. High Plains Drifter, watson503, slayer6699 and 4 others like this. well it's been a while since I've posted. my apartment burned down and lost all my guitars, but I've started over with, unsurprising, an ibanez. well the photo didn't attach I think so l fix that tomorrow. Curt, slayer6699, Synllip and 2 others like this. Wow it’s gorgeous, I’m actually debating in getting this RGR but sticking some Duncan’s on it. Great axe! Must play like butter. Here's my 2008 Gibson Les Paul Studio guitar that is chambered and has the 490R/498T pick up combo. This guitar sounds great acoustically and plugged in. High Plains Drifter, Explorer, KnightBrolaire and 1 other person like this. Took a pic of my stable of LTDs the other day in their current state. Made some pickup changes since last time. peterbee, slayer6699, AkiraSpectrum and 1 other person like this. 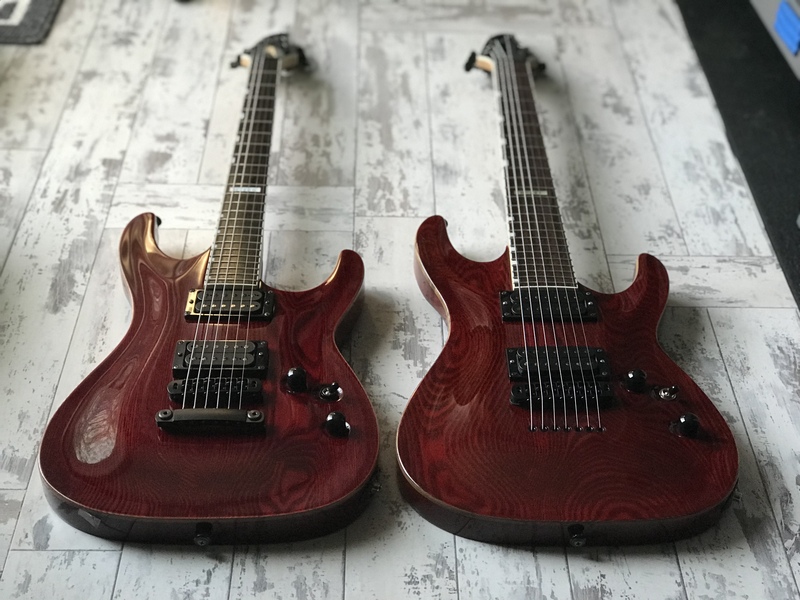 What pickups are in these beauties? 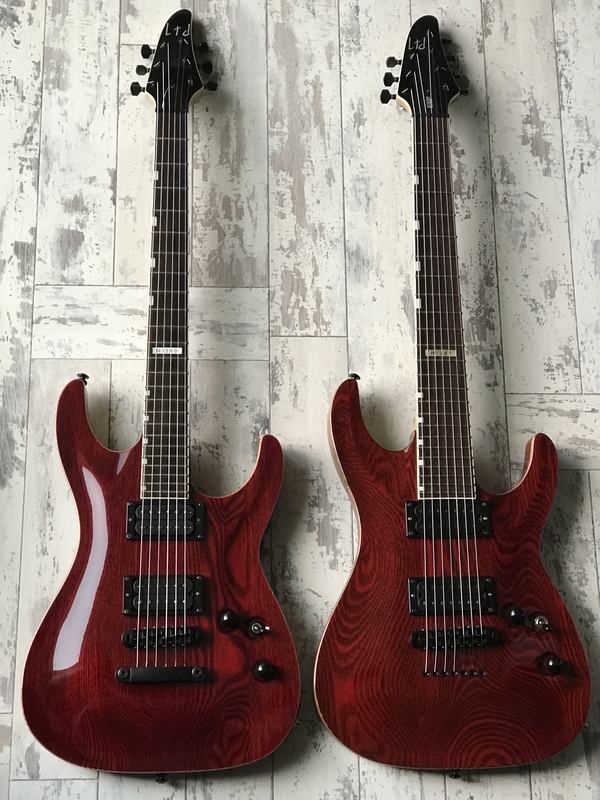 Custom 5/Jazz in the M102 and EC1000, EMG 57/66 in the H1001! Back when I was going through my Dean ML phase. JJStrike, High Plains Drifter, watson503 and 7 others like this. High Plains Drifter, oppgulp, slayer6699 and 2 others like this. Love the single hum and maple fretboard. Is it a custom shop? Or maybe a Model 2? Here's my Godin Belmont guitar "Made In Canada" that is loaded with Seymour Duncan pick ups...a Duncan '59 in the bridge and 2 SD Tube Lipstick pick ups for a vintage sound. The Bigsby vibrato looks cool and works well. The body and neck are mahogany with a rosewood fret board. The scale length is 24.75" (Gibson style) and the neck is really nice and thin for easy playing. I find this guitar to have a real vintage vibe to it. High Plains Drifter, JoshuaVonFlash, Explorer and 3 others like this. It’s a 2005 reissue, made by the guys that became the Charvel Custom Shop the next year. Super solid guitar. Found a cheap H-200 in good condition and gave it the same Gotoh MG-Ts, Hipshot TOM, and Duncan Nazgul/Sentient treatment as my H-207. Bear R., remorse is for the dead, High Plains Drifter and 8 others like this. Wow those look sooo good. 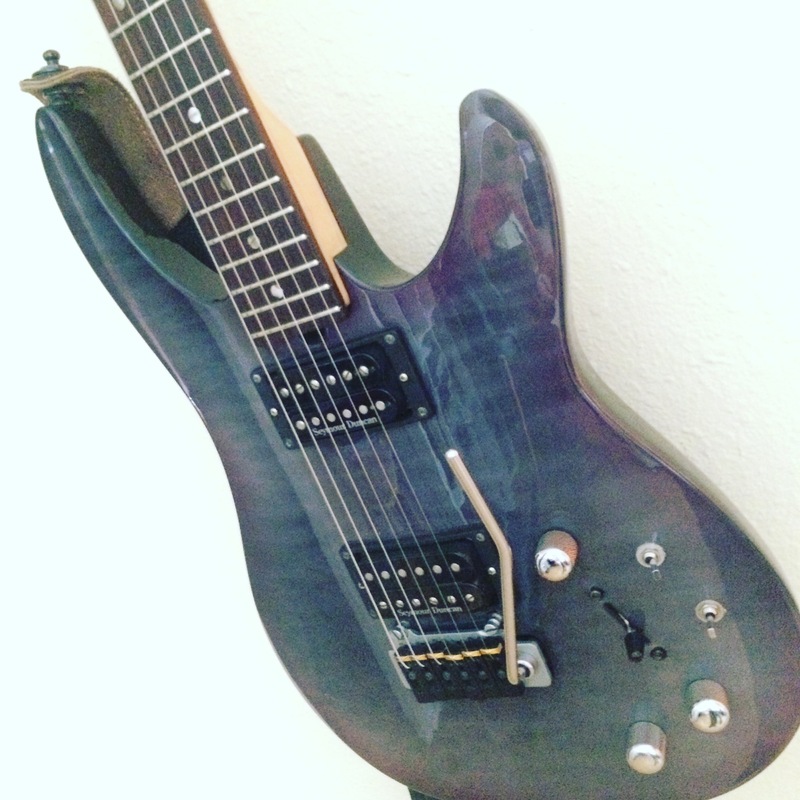 This is my Brian Moore Custom, with piezo, midi, and Duncan pickups. BlackSG91 and DISTORT6 like this.